Our Terracotta Pottery is an exquisite version of the traditional Indian bowl. Handcrafted of brass, this decorative Pot makes an elegant and exotic statement piece that lends a subtle global sophistication to any space. 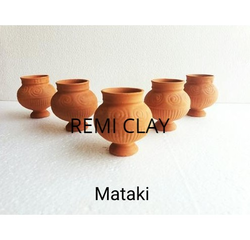 This are Terracota Pots which are use for decoration and gifting purposes. They are washable and Eco friendly. Manufacturer and exporter of Teracotta Handicrafts Toys like Elephant, Horse and Elephant face god and terracotta pot, terracotta planter, candle stand and agarvathi stand. We offer terracotta pottery/pots in decorative styles at reasonable rates. various design and colour will be available . this is only sample. we you want to buy please free to call or mail to me. 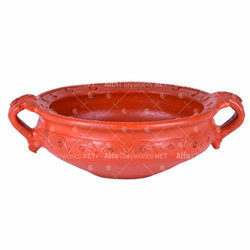 We are offering wide and varied range of Terracotta Pot. It is offered in variety of designs, shapes, sizes and colours. It is widely appreciated by our clients which are situated all round the nation. It is provided with high quality material are widely used in various purposes. We offer our range at market leading prices. Pots and vases made of terracotta suitable for indoor Home Decor as well as outdor use. These are handpainted in beautiful colours to suit the environment.